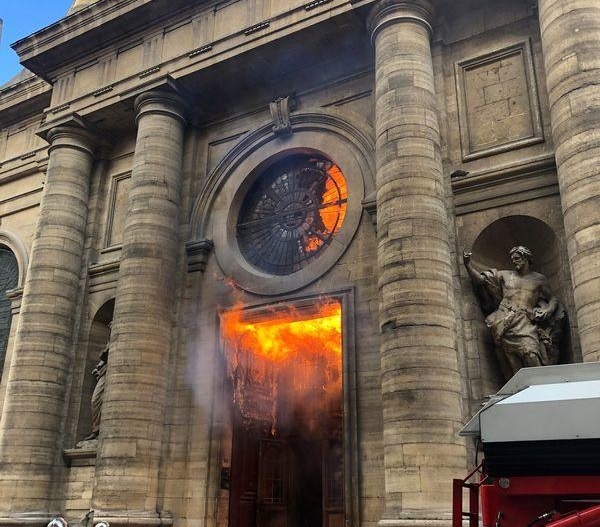 Arson attack in Saint-Sulpice (Paris) on Sunday 17 March at noon. Impression of a cultic fire. 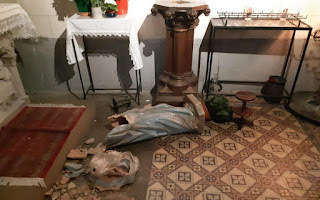 (Paris) "Catholic churches are being violated throughout France and the authorities do not know why". Under this title, the US weekly Newsweek published an article on a worrying phenomenon in its latest issue (March 21). 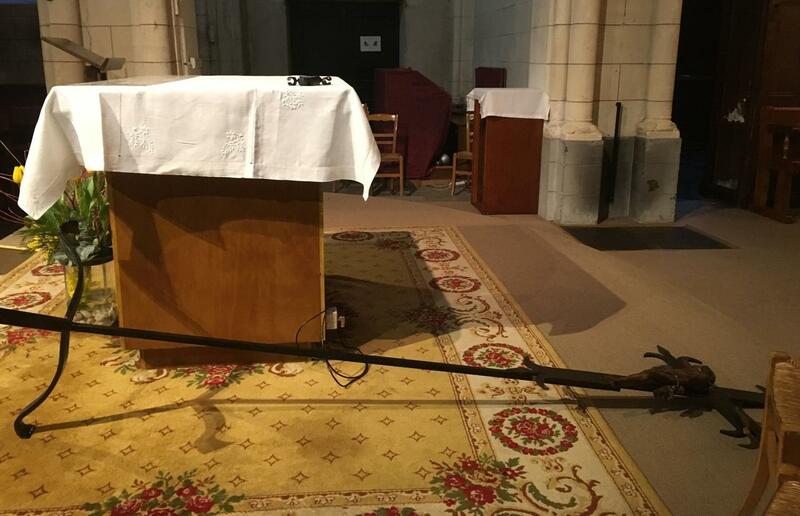 France has witnessed a series of attacks against Catholic churches since the beginning of the year. It's about vandalism, arson attacks and profanations. 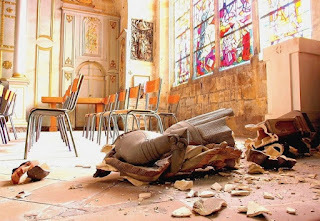 Statues are destroyed, tabernacles broken, the Blessed Sacrament scattered, crosses and other sacred objects stolen. Newsweek does not reduce the phenomenon to predatory criminals. The phenomenon is more worrying. "What causes concern is the increase in anti-Catholic sentiment in the country." On the 17th In March, an arson attack was perpetrated in the Parisian church of Saint-Sulpice. The church dedicated to St. Bishop Sulpicius II of Bourges (+ 647), with its two towers, is one of the most prominent churches in the French capital. It is almost the same size as the cathedral church Norte-Dame. Since the 16th century, this was associated with a seminary of the Sulpicians, which received seminarians from all French dioceses and had great influence on the formation of the French clergy. In the French Revolution and the 1906 Law of Separation of State and Church, the seminary was closed and the buildings expropriated by the state. The arson attack on the church took place in the middle of the day immediately after the last Sunday Mass. People were not harmed. The police began investigations into unknown perpetrators after firefighters discovered arson as a cause. Fallen Cross in the church of Saint-Nicolas. The church plays a role in Dan Brown's "The Vinci Code - Sacrilege". Since the beginning of the year, attacks on churches have increased. Incidents such as the destruction of a statue of Mary and the overthrow of a large altar cross in the church of Saint-Nicolas of Houilles are not isolated cases. The same devastating outrage happened in the church of Saint-Alain in Lavaur, where statues of saints were smashed and the cross was overturned. A topography of church abuses shows that they are spread all over France. The incidents range from the north to the Spanish border. In the Church of Notre-Dame-des-Enfants in Nimes, the tabernacle was broken and the Holy Eucharist was thrown to the ground. Throwing the cross or the body of Christ into the dust is a recurrent element of the attacks. Christianophobia, a French blog on the documentation of Christianophobia, describes the accumulation and type of attacks as "diabolical". The consecrated hosts were scattered throughout the sanctuary. A cross had been smeared with feces on the wall. In February alone, 47 attacks were registered in France. The Observatory Against Intolerance and Discrimination of Christians in Europe of the Commission of Bishops in the EU (COMECE) speaks of a significant increase. 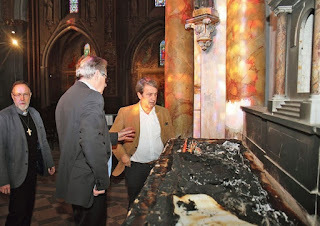 "I think there is a growing hostility in France against the Church and its symbols. It seems to be directed against Christianity and the symbols of Christendom as a whole,” wrotes Newsweek, quoting Ellen Fantini, the Observatory's director. France is a country with a strong, secular tradition. The French Revolution of 1789 was the first attempt to destroy Christianity in the country. The attempt was repeated several times and was written in its intention was written in 1906 in the law on the separation of Church and state. More than a hundred years later, the pressure is not only from militant secularists and Satanists, but also from Muslims, who have long been influential in determining social development in France. According to the state of affairs, state authorities are in the dark about the perpetrators, which is astonishing given the resources available. The Catholic Church in France does not seem to be one of the priority objects of protection for the state.